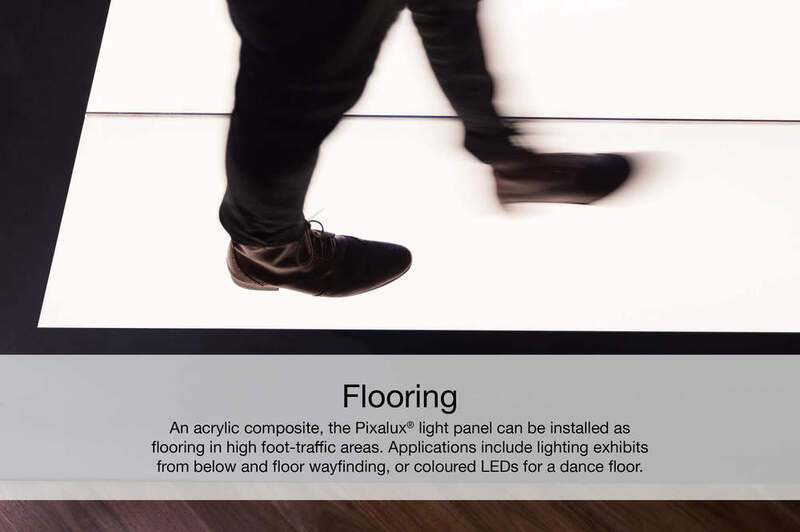 The Pixalux® light panel is an Australian lighting innovation for architectural, corporate, exhibition and retail design. shadow-free light in structural applications. 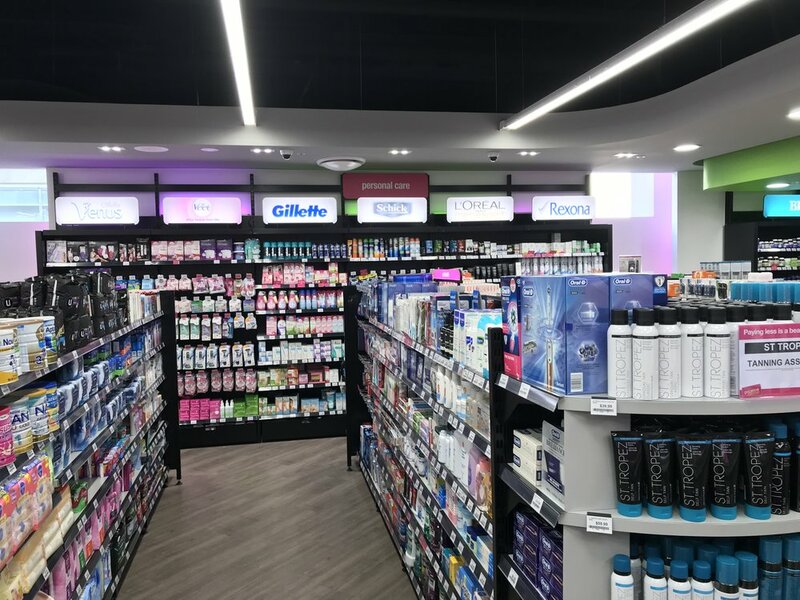 The remarkable benefit of the Pixalux® light panel is that it can become part of the structural joinery and incorporate lighting to create elegant retail and commercial projects. Being LED edge lit the Pixalux® panels can be supplied with fixed colour temperature , adjustable colour temperature, or full colour illumination and all panels can be dimmed or electronically controlled by individual or integrated lighting control systems. Standard panel widths are 14 or 16mm, and maximum panel sizes are currently 400mm by 2000mm for single edge illumination panels, and 800mm by 1200mm for dual edge illuminated panels. A variety of panel sizes are available within these limits. The Pixalux® panels can release light from one or both sides, and the surfaces are cool. 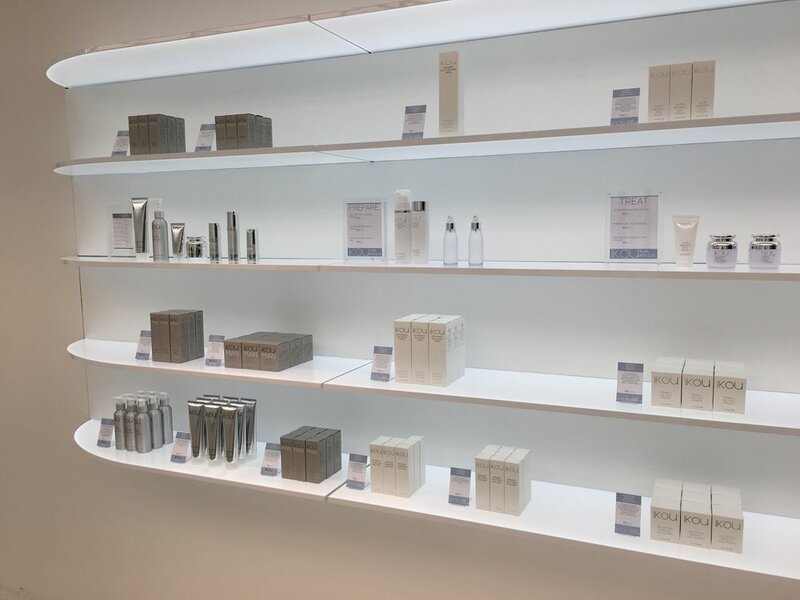 Pixalux® light panels are ideal for illuminating cosmetics, perfumes, heat sensitive foods and other products. 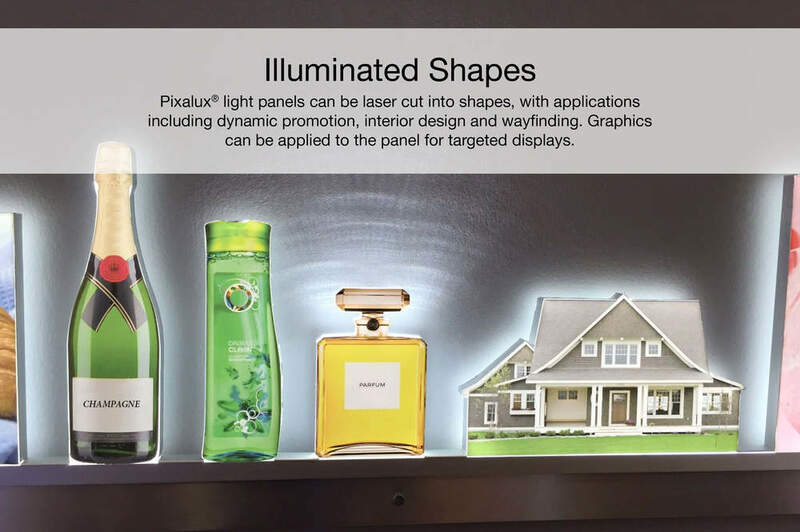 Graphics can be applied directly to the surfaces of a Pixalux® light panel and it can also be laser cut into shapes for special effect displays. Click through for the latest Pixalux® news and photos. Australia, New Zealand, Malaysia, Singapore, Indonesia, Canada Thailand and Japan.